YouTube made its pitch for the future of TV in the living room at the Collision conference this week. Its head of product also addressed the massive advertiser backlash that began in earnest in late March. NEW ORLEANS -- YouTube this week revealed a redesign of its desktop app that strips out superfluous information and makes videos the primary feature of the viewing experience. “We’re rolling out a revamped design of our desktop application,” Neal Mohan, chief product officer at YouTube, announced at the Collision conference. The Google-owned video platform, which has more than a billion monthly active users who stream at least a billion hours of video every day, strives to deliver a consistent experience across all platforms and devices, Mohan said. The new desktop version also includes an option for dark mode for users who prefer a black background and dark color palette instead of YouTube’s familiar bright white design. The desktop site refresh comes less than a month after the company launched YouTube TV, a new digital television service that includes content from all of the major broadcasters and many cable networks. The $35 per month service also includes an unlimited cloud-based DVR and access to Google’s machine learning and search-driven recommendations, Mohan said. “The traditional television viewing experience, in our mind, is one that frankly doesn’t keep up with all the great content that’s out there,” he said. 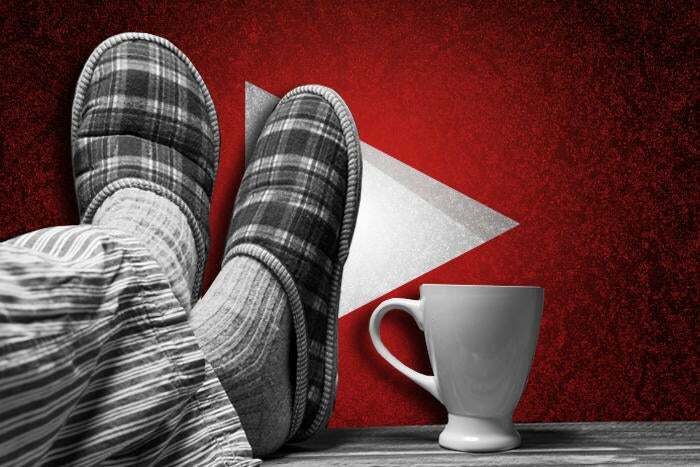 YouTube is making a bigger push and investment in the living room because it believes it can improve on-demand services, make TV more personalized and include social components that are typically missing from other providers. YouTube's foray into the living room is also boosted by what Mohan and many others are calling “the golden age” of video content. Massive investments are being made to produce videos across multiple platforms and the choices available to viewers has grown profoundly from the three major networks that dominated television as recently as three decades ago. YouTube’s massive audience has attracted interest from traditional TV advertisers and other brands, but the company’s momentum was seriously derailed in March when many large advertisers boycotted the platform after their ads appeared alongside extremist, hateful or otherwise inappropriate content. AT&T, Verizon, McDonald’s, Tesco, L’Oreal, Honda and many other household brands pulled their ads from YouTube and some remain skeptical about the policy changes that were implemented in the aftermath of the advertiser exodus. “[Companies] want to make sure that their advertising is showing up on videos that are suitable for their brands,” Mohan said. “We’ve tightened up our policies, but more importantly tightened up enforcement of those policies. And as a result, we’ve now identified five times as many videos as we were before that we’ve eliminated from the rotation.” YouTube also introduced new tools to give advertisers more control over where their ads appear. Mohan expressed confidence in YouTube’s ability to regain the collective trust of advertisers, but he also framed the challenge as one that free and open societies consistently grapple with. “[YouTube] is a place where any of us can express themselves freely, no matter how controversial of a message we have,” he said. There’s little debate over whether YouTube should remain open to all contributors, but at the same time there’s no reason to think advertisers want their brands associated with some of the site's more controversial videos. Brands want to pair their ads with content that elevates affinity, and that will remain true regardless of how videos are distributed. If YouTube delivers on that, its competition with traditional content providers may get a lot more interesting.